For those of you who follow British TV mysteries, Anthony Horowitz wrote many of the episodes of the ongoing Midsomer Murders, and he is also the originator of the wonderful Foyle’s War. He also wrote the novel Moriarity, a wonderful reprise of the Sherlock Holmes stories from an interesting perspective. 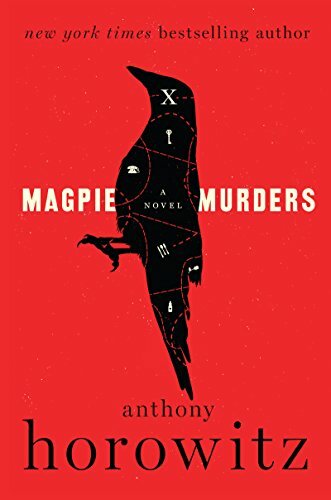 A couple months ago I read a new novel of his, Magpie Murders. It is a very good book – a mystery within a mystery. An editor is reading the manuscript of a new novel by one of the publishing house’s major income streams, and the book includes a report on another mystery that becomes part of the whole plot. And the new manuscript is missing the last chapter! And then the author dies. So it is multiple layers of mystery, detectives, victims, perpetrators, and complication upon complication. The book is also very funny, with an interesting assortment of character names that become part of the resolution of both mysteries. Keep Google nearby as you read so you can check out the real places and real historical events. A very fun book!